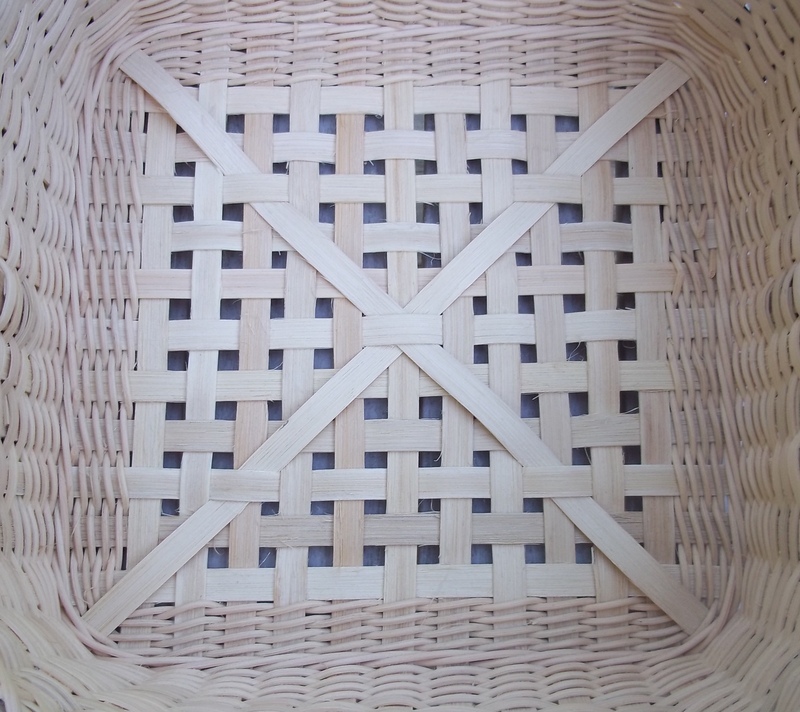 so today, I thought I would share not only how to square the base of a basket, but also why it is important to square the base. 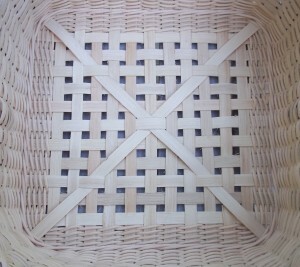 First, what does it mean to square the base of a basket? 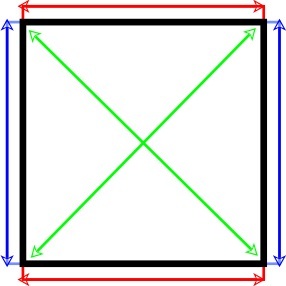 Squaring a base really means making sure that the corners are ‘square’, or 90°. So you can ‘square’ a rectangular or square base. How do you square a base? Well, you could get out your old school protractor, but there is an easier way. 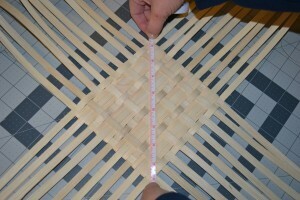 All you need is a tape measure or a ruler. Both horizontal edges must be the same length. Note: the horizontal edges and vertical edges may or may not be equal lengths. Why is it important to square the base? 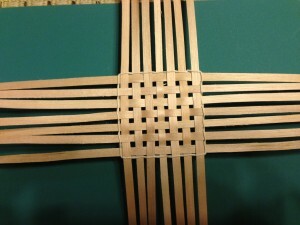 It is easier to upset your stakes and weave straight up the sides (as you would in a market basket) if the stakes are already trained to line up. 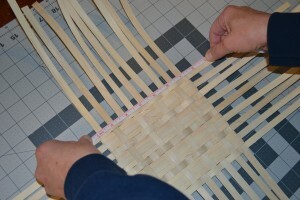 If you are weaving straight up, having a squared base will help the basket to sit flat. 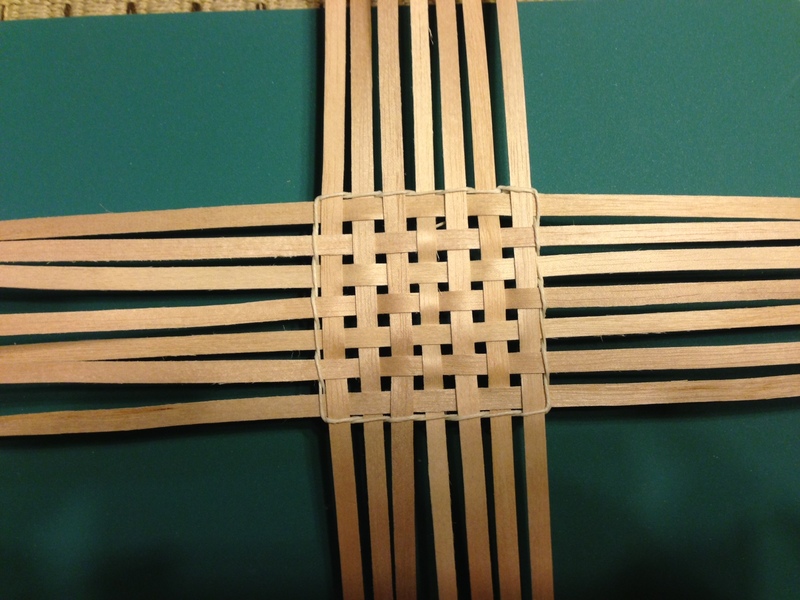 If you are weaving a cathead base, you must have a squared base for the basket to sit on all four corners. 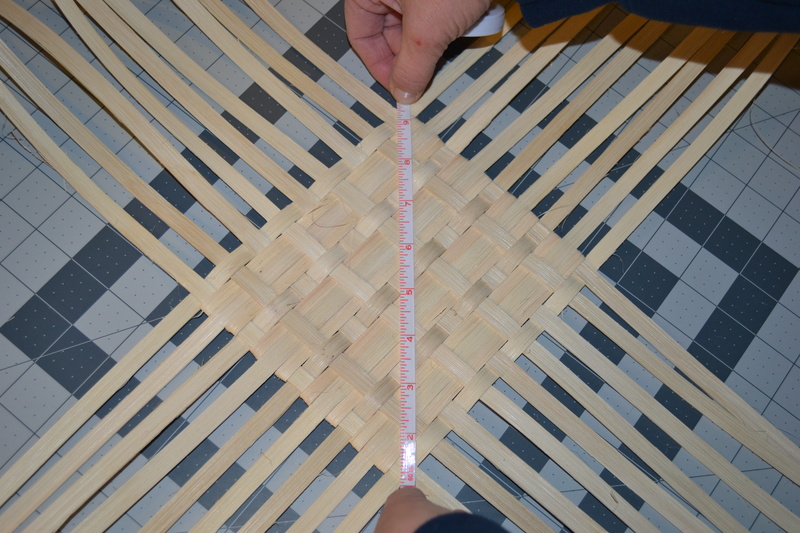 If the base is not squared, no matter how much you manipulate the basket it will want to sit on three of the four corners. So — take a few minutes to square your base and lock it before you weave up the sides, I think you will be happy with the results. Where did you find the mat that is under your base. I would really like one. You can find self healing mats at most fabric stores. I found this one at Joann Fabrics.